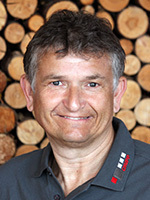 “I can hardly remember what it was like without Machineseeker,” says Waldemar Foit, who sells used wood processing machinery at Maschinen-Grupp GmbH. The long-established trading house is based in Nattheim and has over 300 such machines in stock. Foit refers to Eastern Europe as his biggest foreign market, but also mentions Lebanon, Malaysia and Vietnam. Maschinen-Grupp has been successfully selling machines via machineseeker.com since 2010.